Check out the event web-site here! The melding of social media with digital commerce has opened an incredible breadth of opportunities for retailers and e-tailers, from catalyzing sales, to surfacing new populations and markets, to tracking the effectiveness of promotions and social strategy, and beyond. Yet social commerce comes with its own unique challenges. The market is crowded, noisy, and always changing. 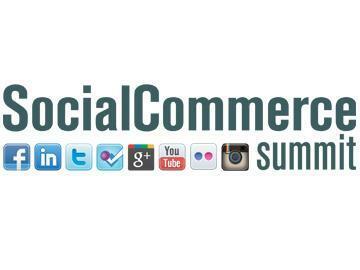 Business Insider's Social Commerce Summit presents today's and tomorrow's best practices. You'll hear about emerging cutting-edge trends and established, mega-successful Fortune 500 strategies. If you must cancel for any reason you must notify us in writing by January 9, 2013, for a refund less a $100 processing fee. Cancellations received after January 9, 2013, are non-refundable. You may transfer your registration to another person by January 30, 2013, by providing authorization to us at events@businessinsider.com. Confirmed and paid attendees who do not attend or who cancel after the deadline are liable for the entire fee.